Enhance your practice by offering the most accurate diagnostic and treatment planning for dentistry using Mobile Dental Panoramic X-Ray. Even more, we service your patients at their choice of location. Whether at your office or their home and workplace, Mobile 3D Imaging comes to you. Most noteworthy, we believe this is an extension of your practice, without having your patients referred to another facility. Furthermore, our Doctor Information page will educate you further on our equipment and scan process. 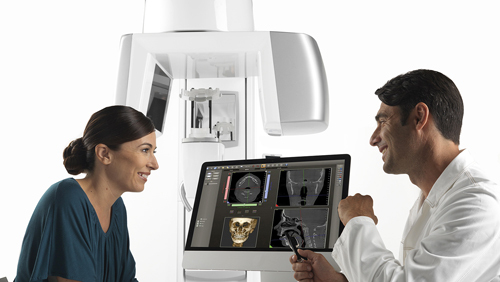 Above all, the FDA recommends clinicians use dental CBCT to diagnose and teat disease. "The clinical benefit of a medically appropriate X-ray imaging exam outweighs the small radiation risk."